Click the map above to view a larger map showing the location of the Park and key features such as the Catchpool Valley Education Centre; the old Landcare Research block and the original Kiwi Release Areas. 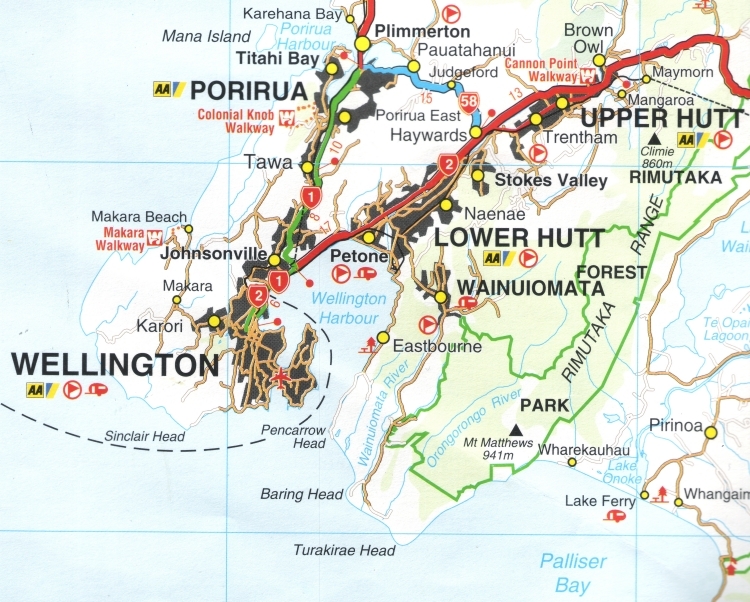 For more photos and information about the Remutaka Forest Park and its environs, check out the Google, "My Maps" link for Remutaka Forest Park created by our Webmaster, here. 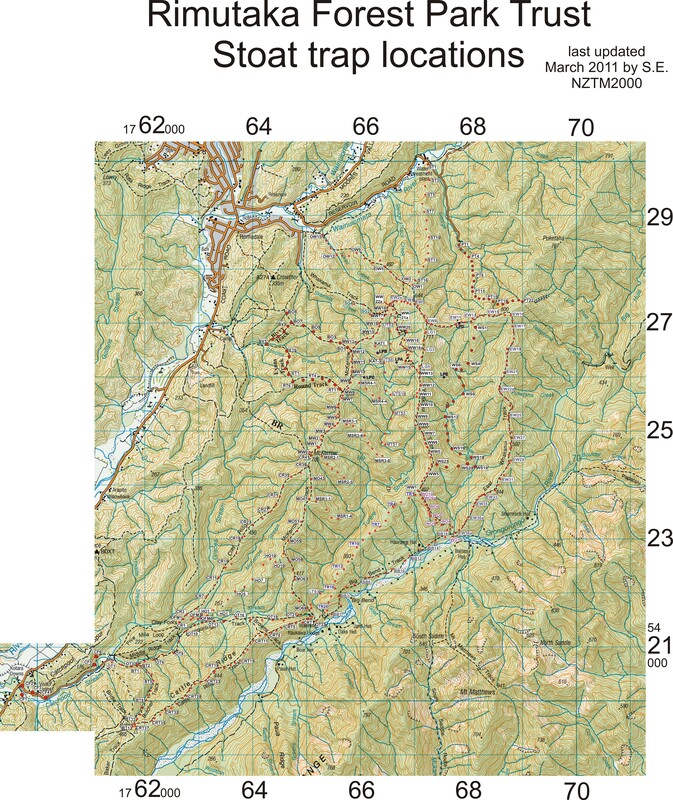 If you are looking for detailed online topographic maps of the area, please click here. These are superb quality maps allowing you to create and download your own custom topographical maps of places of interest within New Zealand at various scales to suit your special requirements. 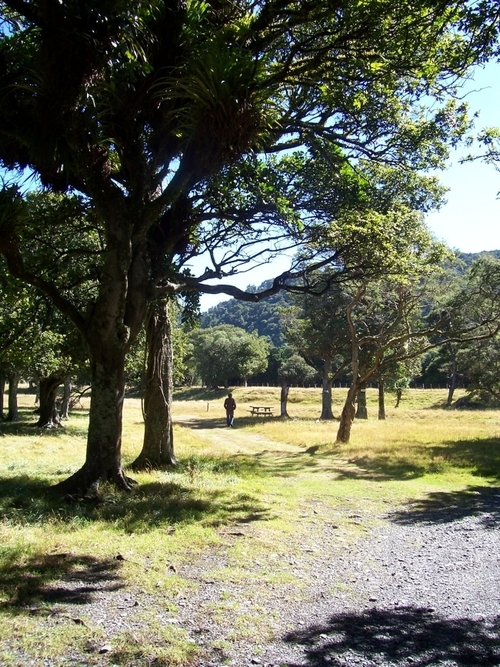 Alternative park entrance at Waiorongomai - on the eastern (Wairarapa) side of the Remutaka Forest Park. Photo credit: PC. To view the current status of our entire trapping network, click the image below. 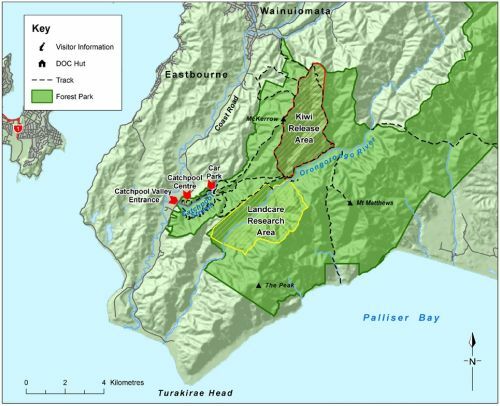 Our protected area now extends to over 7,000 hectares and will grow as we add additional traps to protect new 'eco-hotspots' in the Catchpool and Turere Valleys. 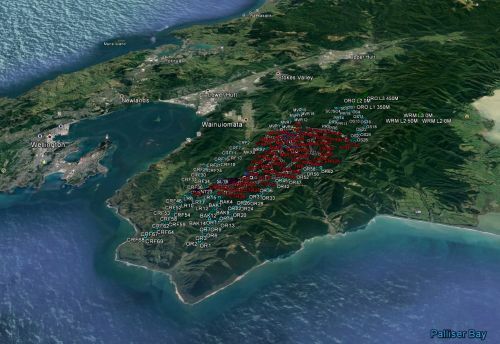 Click here to view or download a 2011 map of our trapping network. (9mb JPEG format) Our trap network has since been considerably expanded with hundreds of additional traps and extended boundary lines. To Sponsor a Trap and Help Save a Kiwi, click here.